I pass carnicerias in many of our cities, like El Tarasco in Rancho Cucamonga near Red Hill Coffee Shop, or Mi Mercadito in Pomona, without ever going in. But after a recommendation from a (*cough*) highly placed law enforcement figure in Chino, I gave El Pueblo a try. It’s across from City Hall and the old police headquarters and courthouse. Downtown Chino, such as it is, is light on places to eat. 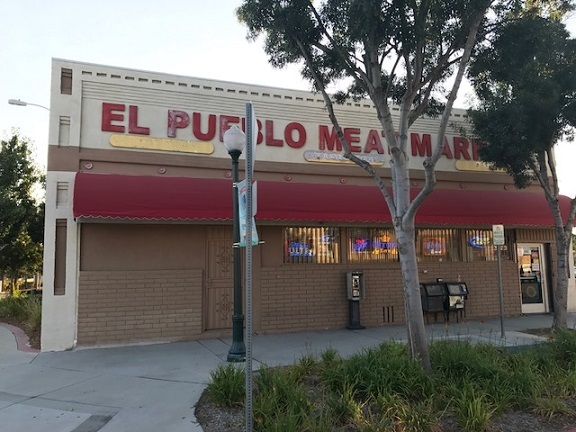 A couple of times now while attending council meetings, I’ve needed a quick bite and walked over to El Pueblo. They have some grocery and convenience items, but largely it’s a butcher shop, plus a counter for ordering food to go. 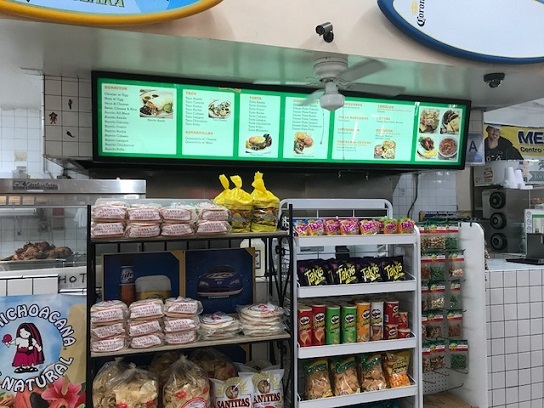 They sell tacos, burritos, tortas, quesadillas, menudo and a few more items. My first visit I had an al pastor torta ($6). 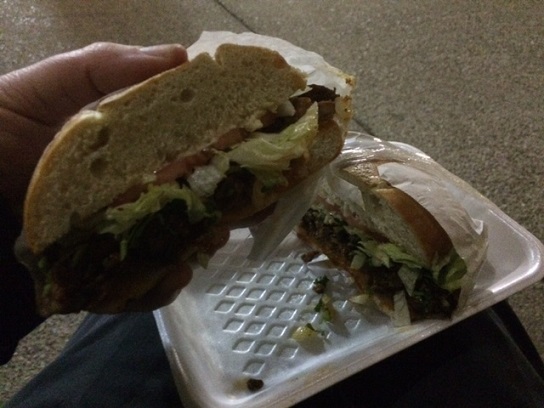 This was consumed on a bench outside the council chambers in near-darkness in January. It hit the spot. 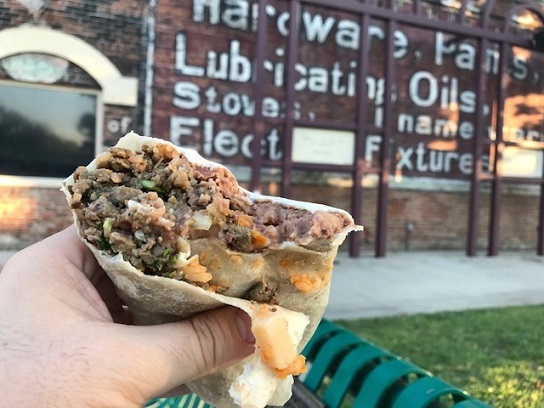 And this month, on a summer evening after a meeting ended early, I got an asada burrito ($6), then walked it over to Aguiar Square, the plaza behind the Children’s Museum, to eat. A fountain is circled by amphitheater-type seating, but a transient was there talking to himself, and sitting near him might have resulted in getting hit up for the money I’d saved by eating a cheap dinner. So I took a spot on a bench elsewhere in the plaza. The burrito was okay, nothing special, but filling. On Yelp, someone gripes that they mix the steak with ground beef, which I can’t say is true, but which might be true. The torta was a better choice. Even better might have been the taco Tuesday special, which I noticed too late: three chicken tacos for $3. This entry was posted in Restaurants: Chino and tagged Chino, Mexican, restaurants by David Allen. Bookmark the permalink.